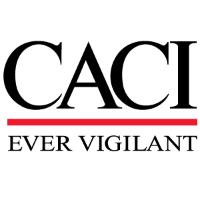 CACI is seeking an Electronics Technician to support the US Army Intelligence and Information Warfare Directorate’s (I2WD) R&D efforts by evaluating, testing, and providing expertise for the next Army Explosive Ordnance Disposal (EOD) Electronic Counter Measures (ECM) system. Ideal candidate will play key role in advancing the Army’s legacy and future EOD ECM capabilities at Aberdeen Proving Ground, MD. Trouble shoot, repair, and maintain threat devices for use in ECM testing. Perform anechoic chamber and coaxial closed loop testing for the next Army Explosive Ordnance Disposal (EOD) Electronic Counter Measures (ECM). Provide onsite field testing/field exercise support for EOD and EWO personnel. Support general anechoic chamber and coaxial testing for military ECM, communications, and other Radio Frequency (RF) systems. Operate RF test equipment, setup test environment, and collect RF data in support of EOD ECM testing. Support writing of test plans, test reports/results, and briefings on current and future ECM characterization testing. Support yearly Ravens Challenge interoperability exercise as EOD ECM instructor and conduct field demonstrations of system effectiveness. 5 years experience as Electronics Technician. Experience in ECM and RF testing. Ability to troubleshoot and repair circuit level components. Experience using benchtop RF equipment including Signal Generators, Spectrum Analyzers, Oscilloscopes, Network Analyzers, and other equipment. Perform standard RF measurements using the previous listed test equipment. Experience field testing current military ECM systems. EW Testing in an RF anechoic chamber. Working knowledge of EOD tactics, techniques, and procedures.